The importance of having a website can’t be overlooked by any person looking to tap the potential of the internet when doing business. Let’s face it! The internet has revolutionized the way we do everything including business. The internet has made the world smaller making it possible for individuals to tap global markets at the comfort of their offices/homes. You however need a website to take advantage of online business opportunities. In fact, you also need a website to do business offline in this time and age and at the center of it all are search engines. Today, most people search online on Google among other search engines when looking for goods and services online and offline. It’s therefore crucial to not only have a website but have one that is visible on search engines. In a nutshell, your website is the core of all your marketing activities. SEO (search engine optimization), PPC (Pay Per Click) ad campaigns, social media marketing, email marketing as well as many other online and offline marketing activities are all centered around your website. For instance, it’s impossible to perform SEO when you don’t have a website. SEO is all about making your website more search engine friendly so that people who search online for the products and/or services you offer can find your website easily. Given the fact that Google controls over 90% of all search traffic online, you can’t afford to overlook SEO if you’re keen on doing effective internet marketing. The same applies to social media and email marketing. You need to take your social media followers and email subscribers to your website. PPC ads are also aimed at directing people to websites. In simple terms, all internet marketing methods are focused on bringing you site visitors. It’s that simple. It’s however important to note that bringing tones of people to your website won’t mean much if those people won’t buy the goods and/or services you are selling on the site. The MOST important function of a website is turning site visitors into customers. If your website isn’t turning visitors into customers, you don’t have a complete website. In fact, you have a bad website which is a complete waste of all the money you spend on all internet marketing/online marketing methods. In actual sense, you don’t need more visitors to your website if you aren’t converting the few visitors you are receiving. How do you get a good website? The first and most important thing to consider is the presence of many newbies and geeks posing as professional designers. 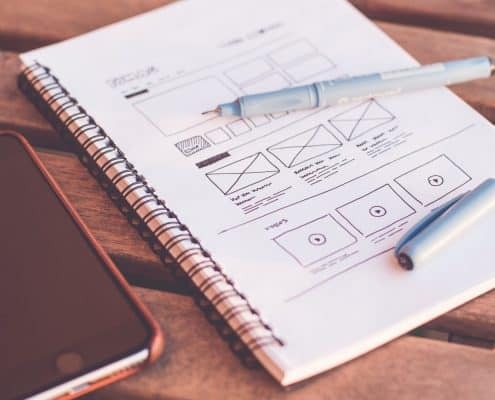 The increasing potential of online business has pushed the demand for web design services attracting many unscrupulous and novice designers looking to cash in. Most web designers out there don’t have a clue of what it takes to develop a website that not only looks good but converts effectively. Majority of website designers marketing themselves today have very little to no web design knowledge and if you’re new to the website design process, it’s easy to think you are getting professional website design when all your getting is basic or even poor web design. With the presence of very many web design tools, it’s become very easy for newbies to pose as professionals. You shouldn’t therefore fall for such designers because it’s easy to register domains and pack a site with information. And most importantly, that’s not the way to create a website that turns visitors into customers. If you really want a TRUE WEBSITE i.e. one that converts, you really need to seek website design services from professionals and that’s where we come in. We are serious website designers who follow the most effective website design steps to ensure we offer sites that are unmatched in every aspect from responsiveness to conversion. From the above information, it’s clear that website design is a very complex process that shouldn’t be left to the hands of novices. To get everything right, all aspects of website design must fall in place perfectly to achieve the end goal of converting. We recognize this better than everyone else which is why we have developed our very own website design phases. We utilize a 7-phase website design process that is tested and proven to offer results. We don’t just get to work. We research thoroughly before starting any website design process. You don’t need to develop website design skills or learn html or CSS to develop a good website. All you need is a good website design company like us. It’s important to note that website design starts before the actual design process. Before we begin designing any website we do thorough analysis. This phase starts with information gathering. We sit down with all our clients and gather as much information as possible from them on the exact kind of website they want created. We gather information such as the purpose of the website, the website goals, target audience, design tastes and preference among other info that will help us develop the best website for our clients and their target customers. Once we know exactly what you want, we proceed to the planning phase which starts with developing a site map. A site map is simply a map listing the pages a website is supposed to have. Site maps are simply documents which can assume any form. Their main purpose is assisting the web design process. They help in organizing the information collected in Phase 1. The site maps highlights what the site will look like as well as what should be done first. 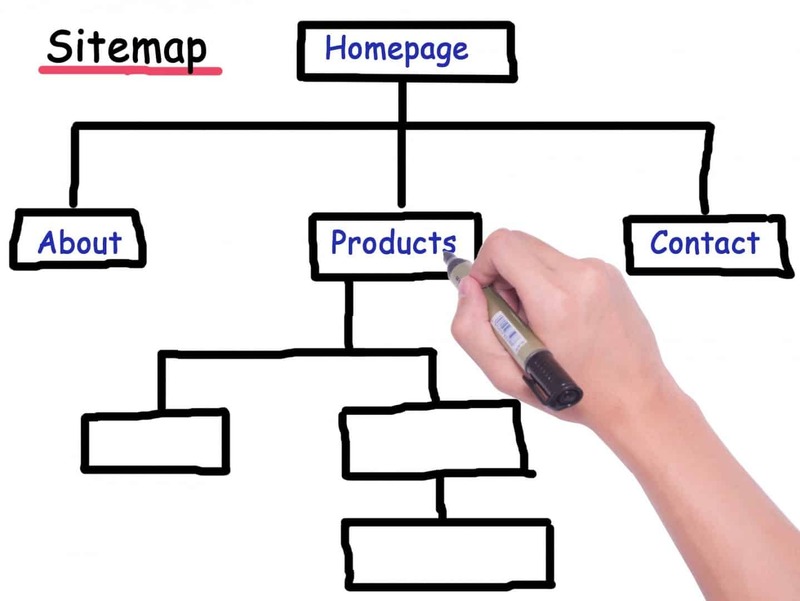 A site map is simply a website organized in a hierarchical fashion. Site maps also highlight the overall website structure, the most appropriate technology among other important information detailing the website design process. Once we establish what you want and plan to make it happen, we begin the website design. We focus on all aspects from wire frame models and visual style to the usability of the website. Our end goal is making sure we design the most responsive site possible. We also purpose to make websites which are very easy to use. We utilize the most modern web design trends to maximize on user experience and responsiveness. All our websites can be accessed seamlessly on all kinds of computing devices from personal computers to laptops, tablets and smartphones. Given the fact that most internet users today are accessing the internet via mobile devices, the importance of getting responsive web design services can’t be overlooked. When you choose us, you can be rest assured that your website will look and function perfectly on any device. Our website design process doesn’t end after the designing phase. We go further and purpose to create the best content for our client’s websites. The importance of having good content can’t be overlooked since content is a significant part of SEO. It’s important to note that your website must have high quality content with the right keywords for you to be able to enjoy high search engine ranking. This requires a thorough understanding of your niche. You also need to do thorough keyword research. Furthermore, having the right keywords isn’t enough. The keywords have to be placed perfectly in the text for them to have the most impact on SEO. For instance, keywords need to be placed in headings, sub headings, in the 1st paragraph, content body and at the end for them to attract the best possible search engine ranking. This must however be done with caution to avoid keyword stuffing (including too many keywords in text) which has a negative impact on SEO. The content must also include tags, optimized images, and videos among other components for it to be optimized perfectly. If you’re not a content expert, it’s impossible to optimize content perfectly without compromising quality. This is why we take up this important role and do it to the best of our ability. We have the best content experts in the industry so you don’t have to worry about anything. Once we have the right content for your site, we proceed and create the site using HTML and CSS coding with help from databases and many other technologies. We can also do WordPress web design. We utilize the best and most secure CMS platforms as well as offer the best web hosting services that guarantee high traffic stability. The development phase brings all the other previous phases together resulting in an actual website packed with content and many other features/capabilities including responsiveness. Unlike most website design services, we go further and test all our sites to ensure they meet the original website goals. The testing phase is aimed at ensuring the website works fine. We test all the technical features from the coding scripts to compatibility with major browsers. The testing phase is also aimed at establishing whether the final site is capable of fulfilling its purpose i.e. converting. As mentioned above, there is absolutely no need of having a website that just receives visitors but doesn’t convert them. During testing phase, we will test all web design aspects that drive conversion from the overall design to the responsiveness, SEO and checkout features. After testing, our job isn’t done yet. We proceed and deploy the site after which we continuously monitor the site to fix bugs. This phase is important since some design problems can’t be identified easily during the testing phase. Once your site is live, we will stick around and monitor everything to make sure the site is working perfectly. We can also do maintenance for you if you want as well as offer other support services before you get an in-house team. It’s important to note that sites need regular maintenance i.e. updates to keep them running optimally. Google updates which are released periodically will require you to make content adjustments. New security threats will also require you to update your site’s security. In a nutshell, you will be required to constantly work on your site at all times. You can rely on us to help you move forward and get the best out of your website always. From the above information, it’s clear why website design shouldn’t be left to novices. 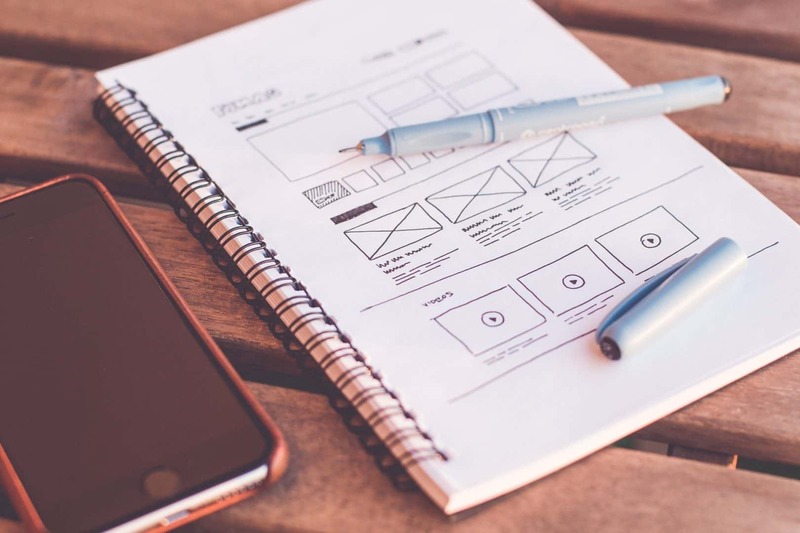 Newbie website designers can’t possibly get all the above aspects right and that’s a risk you can’t afford to take given the fact that your website is the core of your business’s marketing efforts. The success of other marketing methods is heavily dependent on having a good website because all other marketing methods focus on driving people to your website. You must therefore focus on having an extremely functional and responsive website. Furthermore, your site needs to be perfectly optimized to be able to attract visitors in the first place. Your website needs the right keywords placed in the right places and in the right number. The content also needs to be high quality for it to add value to visitors and prompt them to take desirable actions such as making a purchase on the site. We can do all this for you and monitor the progress of your website in the process. Furthermore, we offer affordable web design services. What more can you ask for? Why should you trust newbies and geeks when you can get the best website design services for a bargain? Trust true professional web designers with years of experience. We work with the best website designers in the industry. We have also been tested and proven to be one of the best (if not the best) web design services. Personal Branding Responsive Web Design: Is your Website Ready ?